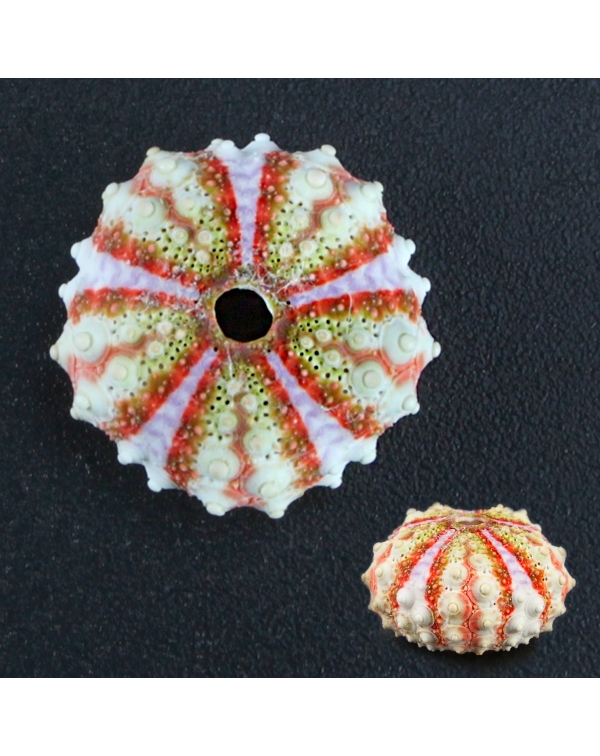 Coelopleurus interruptus, a sea urchin from New Caledonia, a French island located in the South Pacific.These sea urchins are characterized not only by their small size, but also for their variety of ..
ARBACIIDAECoelopleurus InterruptusAuthor: Döderlein, 1910Locality: New Caledonia..
ECHINIDAEEchinus esculentusAuthor: Linnaeus, 1758Locality: CornwallSize: 10.8 cmThe endoskeleton of sea urchins is composed of calcite, and appears divided into ten meridian sectors: five ambulacral, ..
ECHINIDAEEchinus esculentusAuthor: Linnaeus, 1758Locality: CornwallSize: 11.4 cm..
ECHINIDAEEchinus esculentusAuthor: Linnaeus, 1758Locality: CornwallSize: 10.6 cm..
ECHINIDAEEchinus esculentusAuthor: Linnaeus, 1758Locality: CornwallSize: 11.8 cmBeautiful sea urchin from Cornwall mounted on a carved wooden base turns into an elegant and unique piece of furniture. 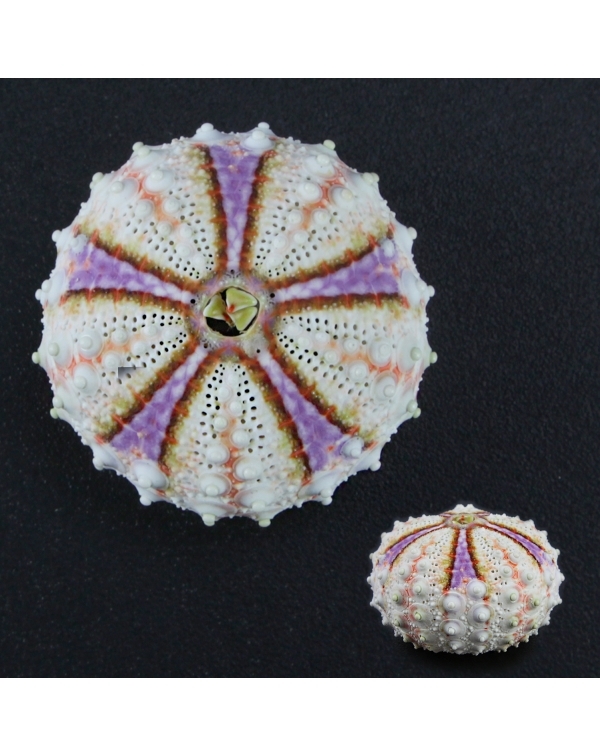 ..
ECHINIDAEEchinus esculentusAuthor: Linnaeus, 1758Locality: CornwallSize: 10.2 cm..
ECHINIDAEEchinus esculentusAuthor: Linnaeus, 1758Locality: CornwallSize: 11.5 cmA natural sea urchin that becomes an elegant piece of furniture. 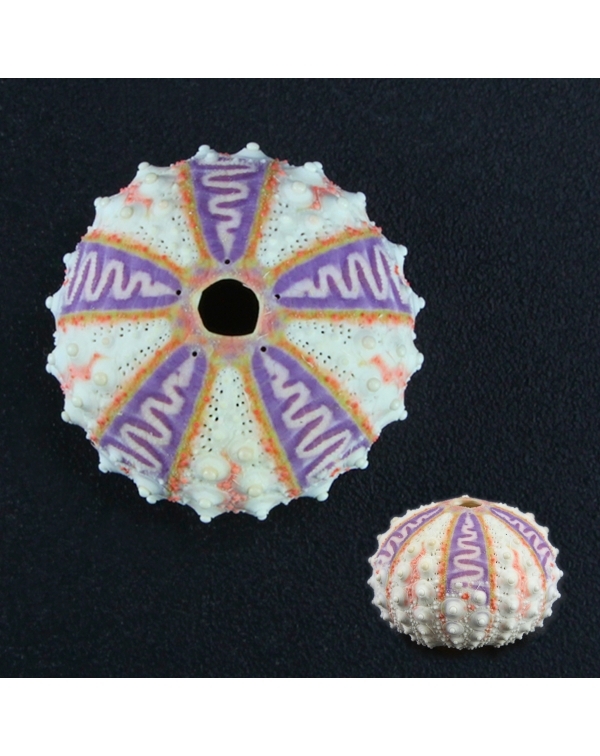 The beauty of Mother Nature's creations fused together ..
ECHINIDAEEchinus esculentusAuthor: Linnaeus, 1758Locality: CornwallSize: 10.8 cmA particular wooden base, carved by our craftsmen, has the ability to enhance this natural sea urchin. 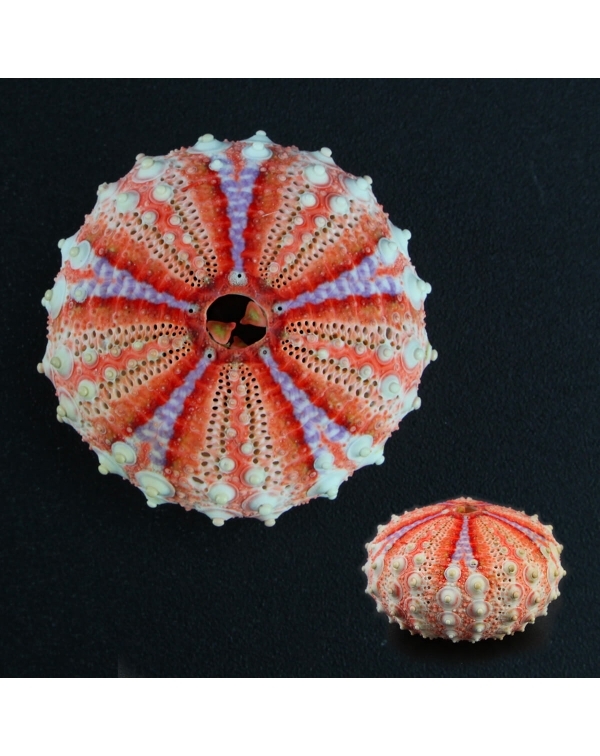 The echinoid show..
ECHINIDAEEchinus esculentusAuthor: Linnaeus, 1758Locality: CornwallSize: 11.7 cmAn elegant creation born from the imagination of our interior design, transforms a sea urchin of Cornwall into a perfect..